Home Unlabelled Some Yoruba herbs and their uses. Some Yoruba herbs and their uses. There are many different “types” of herbal medicine that spring from different cultures around the world. All these have the use of medicinal plants in common, but they vary in the plants they use, the way they prepare and use medicines from these plants, and the philosophy of their treatment approaches. Checkout some common Yoruba herbs and their uses. Eti Erin is also known as Aloe Vera in English. It is a very popular herb due to its health benefits which include the following: It is an important ingredient for making of skin care products and it is also used to treat skin allergies because of its anti-inflammatory properties. It is used on wounds and burns to speed up their healing. 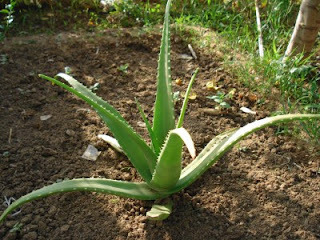 Liquid from Aloe Vera leaf can be used for the treatment of sunburn. The juice from the leaf can also be used to treat constipation. It helps in digestion and increases the water content in the intestine. It can help in getting rid of intestinal worms Also, Aloe Vera can be used for detoxification and helps to boost liver function. The herb known as Irawo Ile is called Girdlepod in English. The botanical name is Mitracarpus scaber. It uses includes the following: It is used to treat skin infections such as dermatoses, scabies, and ringworms. 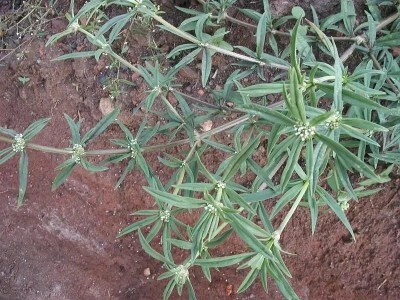 The plant has proven antibacterial and antifungal properties which makes it suitable for treating infections. It can be used to treat body aches and pains such as toothaches, headache, and arthritis pain. It can also be used for the treatment of amenorrhea and hepatitis and some sexually transmitted diseases.